While opting to have an automatic garage door installed in your home is always a good decision, it can be a little difficult for some homeowners to determine which system best suits their needs. There is a wide range of products available when it comes to these systems so it’s no surprise that the choices can seem overwhelming at times. In order to help you select the door that is most suited to your home, we assembled a list of the different things you need to take into consideration before making a decision. 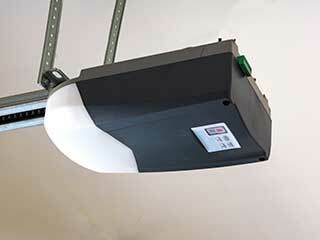 There is no one-size-fits-all solution when it comes to garage door openers, and the drive system and accessories that you select should depend largely on your needs. The size and material of your door will determine the horsepower output the new motor unit will need to produce, and the proximity of your garage to your bedroom will determine how quiet it will need to be. As you take every factor into consideration, you'll be able to decide between a silent belt drive unit, a powerful but noisy chain drive opener or a reliable and fast screw drive opener. You also need to consider the added features that your new motor unit will have, such as WiFi connectivity and backup battery power. The variety of available choices comes in an equally diverse range of prices. While it is true that you get what you pay for, that doesn't mean that you have to buy the most expensive option. Some features can seem cool but don't really serve a functional purpose for your daily needs, and some models may nice and affordable, but they require a lot of maintenance, which will end up costing you more time. Safety and security should be a major deciding factor when deciding which opener model to get. It's important to go with well-known brands like Genie and LiftMaster, that have a proven track record of reliable products. Name brand manufacturers have incorporated special features that allow their devices to maintain a higher level of security, and a prime example of that is rolling code technology. This type of feature prevents thieves from duplicating your remote control's code in order to gain access to your home via the garage door. There are many factors to think about when buying a new opener, and it's important that you don't neglect to consider every single one. Let us at Garage Door Repair Greenwich help you make the right choice. Once you've found the best model for your needs, we'll carry out the opener installation and make sure that the new unit is ready to work reliably from day one.